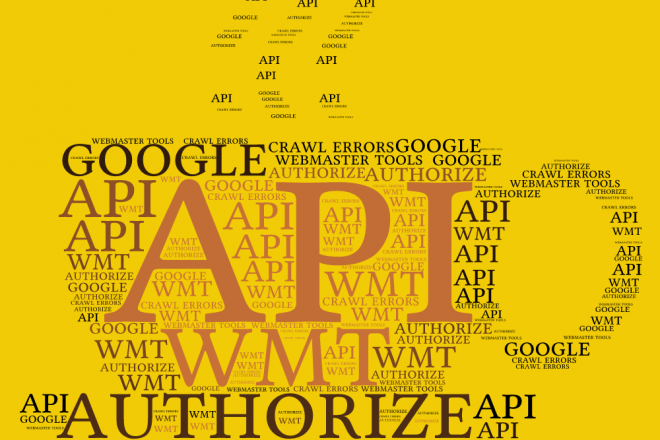 Google announced that the Webmaster Tools (WMT) API — and with that the authorization method for that API — is being upgraded. 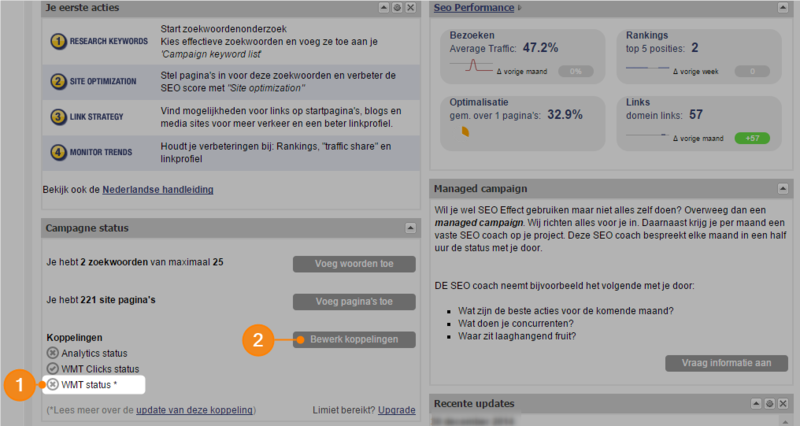 SEO Effect has been changed to accommodate that. That also means that all users that authorized SEO Effect to read the crawl errors from WMT have to do that authorization again. WMT Clicks status: an official (non API) connection. On your dashboard you can see a cross icon after the latter. A sign that the connection has been lost. Click on ‘Edit connections’. On the next screen click on “Authenticate with Google”, if necessary login to the Google account that you use to access WMT and grant permission. In the next screen, choose the correct profile, conform your choice and (important!) safe the edit page to make it all final. Go to Campaign > Edit and click ‘Select WMT profile’. Choose the connected WMT profile that your site. 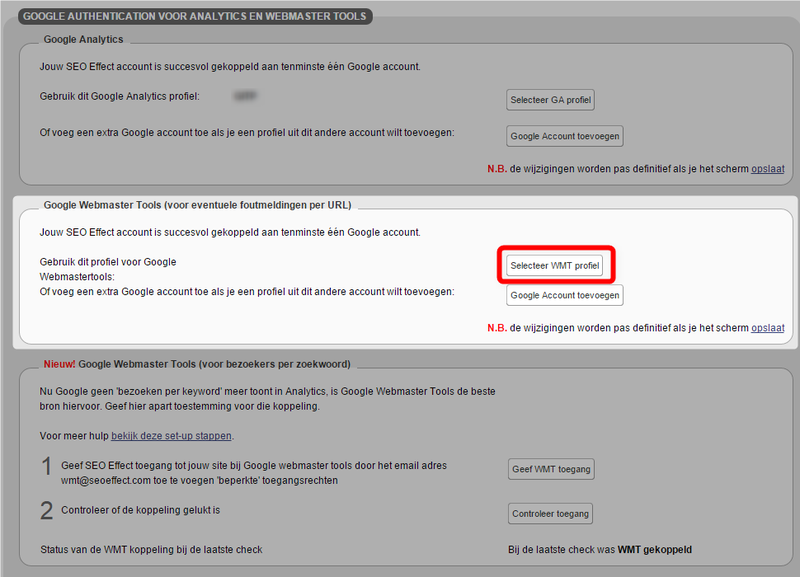 If the popup is empty, Click the button ‘Add Google account’ first and then follow the instructions. What’s to gain from this new API? At the moment it is a bit of work with little gain. But we expect that this new API will accommodate fetching click data (and more) in the near future. When that is done, the current, haphazard solution for WMT clicks can retire and we expect to get more data form WMT that we can then combine with rankings and other metrics allowing for many smart combinations of data. So please reconnect now and you’ll be 100% proof for future updates. More on connecting SEO Effect and WMT.